My goal for 2017 was to run 2,600 KM. In the autumn I hurt my knee a couple hours before flying to Denmark to race the Copenhagen Half Marathon. An aggravated injury meant I didn’t meet my 2017 goal. I was still recovering at the beginning of 2018, so I set a more reasonable goal to run 2,018 KM. Then in August I hurt my other knee. Then in September, on a crap knee, I passed 2,018 KM. And then, in October, with a crap knee, I raced the Victoria Marathon and barely walked let alone ran again for a few weeks. In mid-December I was easing back into decent weekly milage and noticed that 2,600 KM for the year was within reach. So I went for it, and on December 29 I ran 11.8 KM around Oak Bay for 2,601 KM for the year. I ran ten races in 2018, set a bunch of personal best (PB) times, and earned my first age-group podium finish. The Moustache Miler was two firsts for me: it was my first 5 KM race, and the first time I’ve raised money for charity. I expect more of both of those In spite of the Moustache Miler being my only 5 KM race to date, my fastest 5 KM time is 20:21 over the first 5 KM of this year’s Eastside 10 according to Sportstats. I’ve drawn a circle around Stanley Park over 200 times and I still love that loop but this year I got to do a few new loops that were a lot of fun. These four are my favourite. Final run in Helsinki. I thought this city was okay when I arrived and by the end of the week I didn’t want to leave. 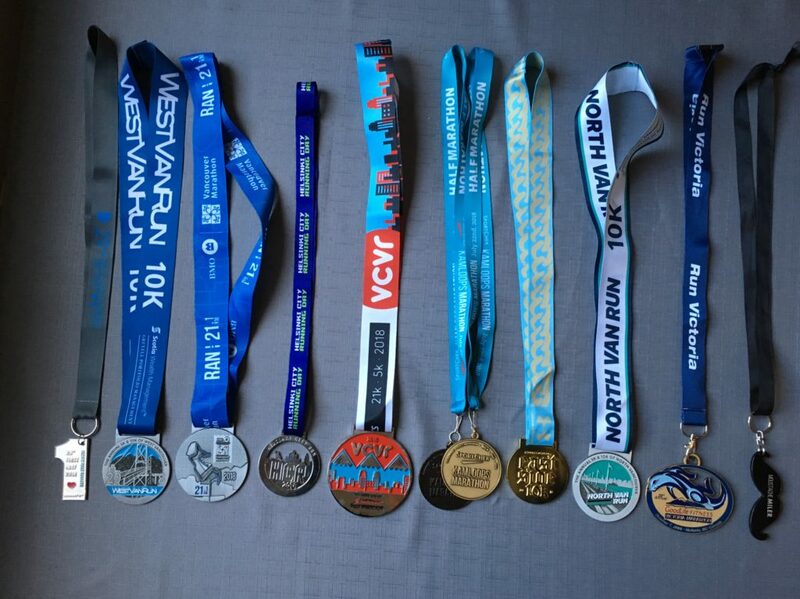 Some amazing running history there, too. And then I fell in love with Tallinn. Didn’t hurt that the weather was unusually amazing the whole time we were there. 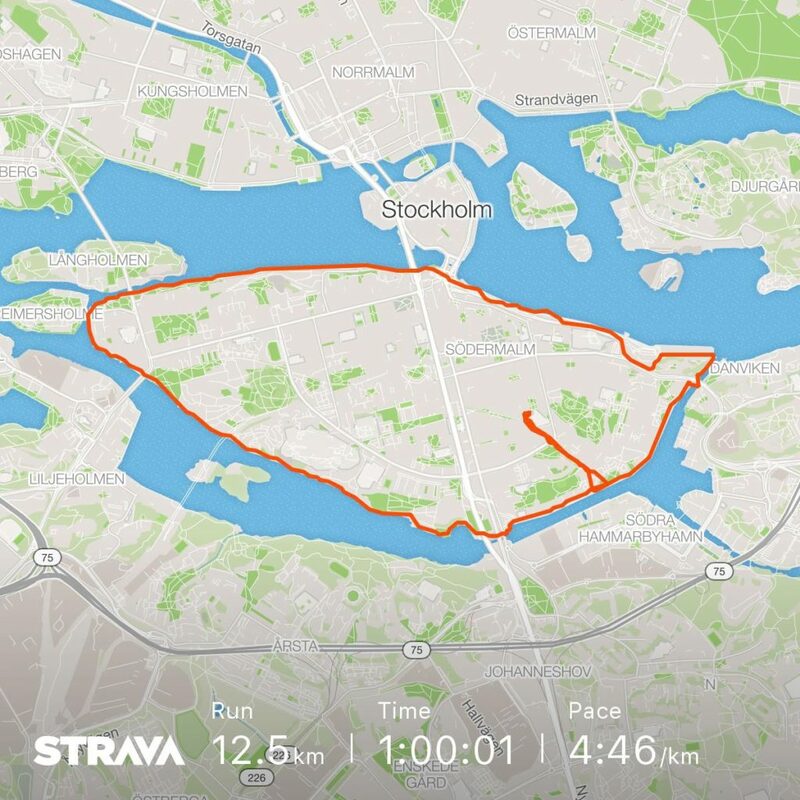 Stockholm is the first city I took my running stuff along on holiday, and I’ll never holiday without my running stuff again. I didn’t get a Sodermalm loop on that 2016 visit but I did this year. Surrey?!? I KNOW! 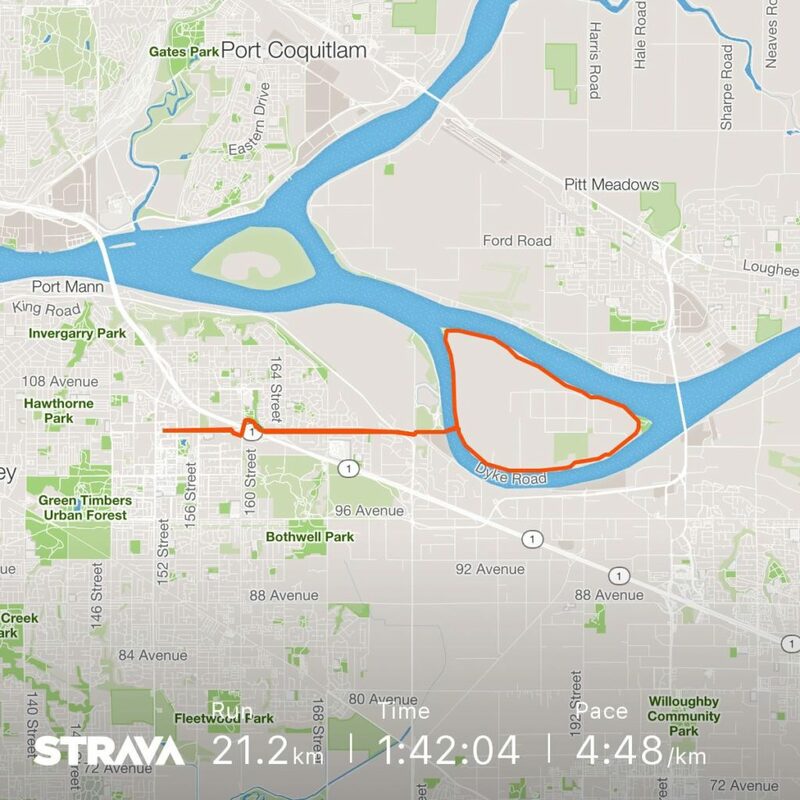 But this run was so much fun — down the hill then over a free ferry to Barnston Island. Plus I (currently) have the 3rd overall time looping Barnston Island (and it’s nowhere near my 10 KM PB). If I find myself marooned at the Surrey Sheraton again I’m definitely going for the crown. 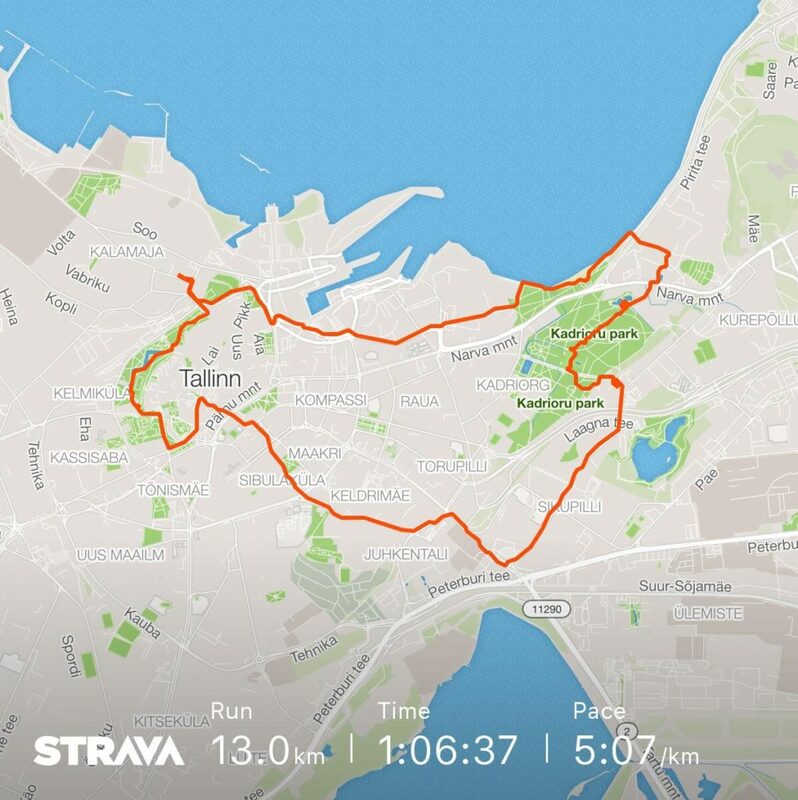 Missing in action: the Helsinki City Half Marathon and the Victoria Marathon. 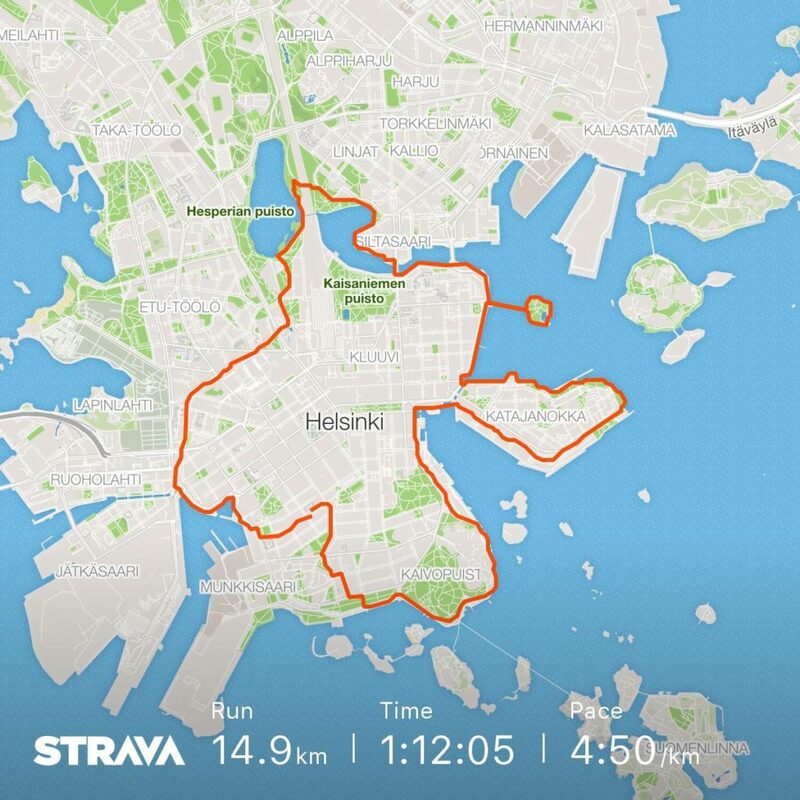 I loved idea of racing Helsinki but the route just wasn’t my favourite. Victoria, in spite of setting a pretty huge personal best of over eight minutes, the race was a disappointment and I’m still bitter. At the beginning of the year I joined a group challenge to run the elevation of Mount Everest — 8,848 metres — and then forgot about it until I was crunching numbers the other night. I ran 38,419 metres of elevation in 2018, or the Everest summit 4.3 times. When I first started running I bought a pair of adidas shoes at Costco for $40 or something, and Joe Fresh shorts and a top from the Superstore. I still wear adidas. JF not so much. I spend a lot more on running now. This year I decided to see how much. These dollars have caveats, of course. My shoe budget includes orthotics that I was not expecting, and I probably have shoes covered for 2019. I exhausted my extended health coverage and kept going to physiotherapy anyway. Race entry includes fees paid this year for races in 2019, but then excludes a few 2018 races paid for in 2017. Other includes a new Garmin watch, which had better not be an annual expense. The bloated Clothes expenditure is just embarrassing. I expect my 2019 total to be a lot less, but I’m a very recent convert to technical running socks. Next week: New year — reading & running goals for 2019.